It’s been said that confidence is everything. This notion certainly applies to your ability to handle your home’s basic plumbing needs. 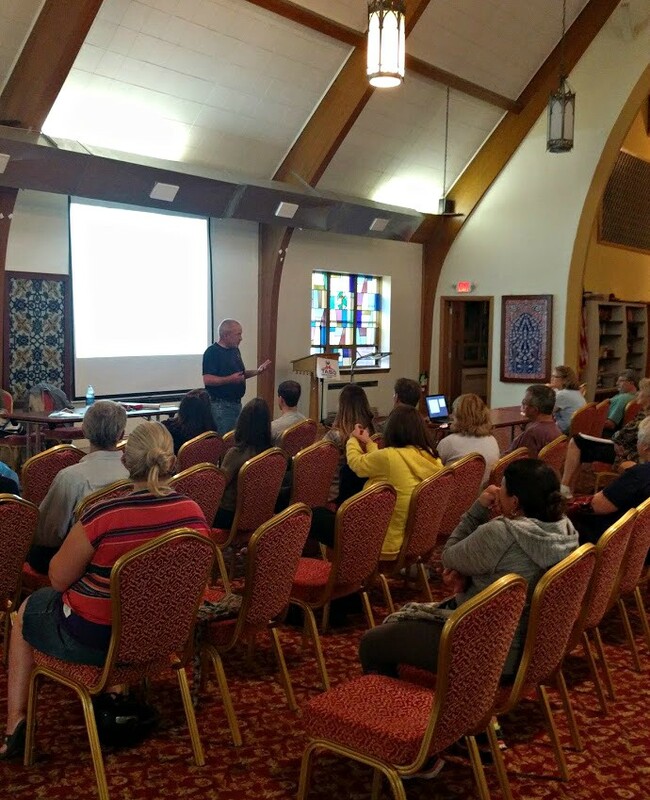 Nearly 30 area residents came to the Turkish Cultural Center on September 14 for LakewoodAlive’s “Knowing Your Home: Plumbing 101” free workshop. Led by friend of LakewoodAlive Fred Cortright, this workshop sought to equip homeowners with a basic understanding of their home’s plumbing system, instilling confidence to address common plumbing problems and repairs. A major plumbing issue can cause you problems ranging from structural damage to wasted resources to excessive repair costs. Thankfully, your sense of smell, sight and sound can help you identify potential problems early. Should you smell mold or mildew, see a water stain or hear dripping water, trust your senses and do not ignore these symptoms of a plumbing issue. Nothing is forever, including common plumbing materials. By having a basic awareness of the plumbing materials contained within your home, as well as knowledge of the lifespans associated with these materials, you can better anticipate when a future plumbing repair may be necessary. 3. Perform regular maintenance to your storm water system. Your home’s storm water systems consists of plumbing elements designed to remove rain water from your roof and drain surface water away from your home. If this system becomes blocked or collapsed, it can lead to water in your basement. Perform regular maintenance to your home’s storm water system by keeping gutters clean, considering use of tree root killer product and clearing your storm water pipes with a sewer snake when necessary. When your toilet is clean, it shouldn’t smell. Its base should be dry, odor-free and sturdy (tighten your bolts but don’t over-tighten them). The presence of tank condensation can lead to mold or mildew. Thwart this problem by decreasing your tank volume, flushing less often and improving ventilation within your bathroom. For an old toilet, it’s helpful to use less water – try placing a mason jar in your tank to take up space, thereby reducing water flow into your tank. 5. Know how to address a water-stained ceiling. In the event you encounter a water stain on your ceiling, here are the basic steps to treat this problem: 1. Stop the leak water leak ASAP, 2. Repair the water leak, 3. Let the damaged area dry completely, 4. Use a stain-blocking paint and 5. Finish by painting with the ceiling color.